Bringing a seasoned range rider to the Big Hole Valley, where grizzlies are reclaiming historic range. Perched between the Greater Yellowstone, Northern Continental Divide and Bitterroot ecosystems, southwest Montana’s Big Hole Valley could one day provide connective habitat where bears born in three different states intersect. With the Big Hole’s first agency-confirmed grizzly sighting in several years, occurring in 2016, the resettlement has begun. 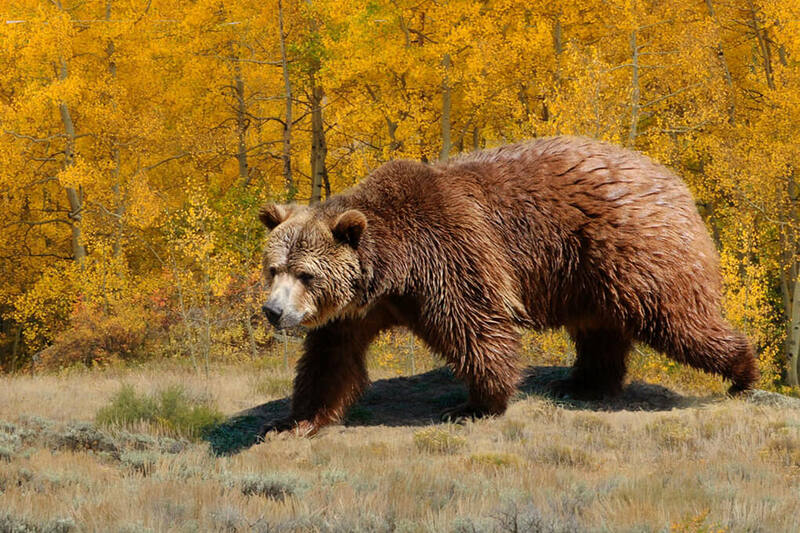 Now we must help the area’s human residents prevent grizzly problems before they happen. Leading the charge is the Big Hole Watershed Committee (BHWC), a local stakeholder’s group whose governing board represents interests ranging from conservation to ranching to tourism. Our first partnership with BHWC is supporting a new Upper Big Hole Ranger Rider position. Drawing from the success of the Range Rider Program farther north in the Blackfoot Valley—a program Vital Ground has supported with grants in recent years—this new project will put a seasoned manager on the land and in the community, monitoring wolf and grizzly populations while collaborating with ranchers to quickly remove conflict-inducing livestock carcasses and modify grazing plans to account for wildlife movements. It adds up to more boots on the ground—or in the stirrups, in this case—working for the coexistence of native predators and ranching in one of the newest right places for grizzly conservation.